Bev Tunney and Amy Schein have been best friends for years; now, at thirty, they’re at a crossroads. Bev is a Midwestern striver still mourning a years-old romantic catastrophe. Amy is an East Coast princess whose luck and charm have too long allowed her to cruise through life. Bev is stuck in circumstances that would have barely passed for bohemian in her mid-twenties: temping, living with roommates, drowning in student-loan debt. Amy is still riding the tailwinds of her early success, but her habit of burning bridges is finally catching up to her. And now Bev is pregnant. 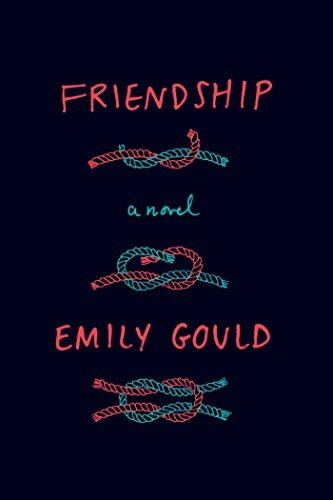 Friendship, Emily Gould’s debut novel, traces the evolution of a friendship with humor and wry sympathy. Gould examines the relationship between two women who want to help each other but sometimes can’t help themselves; who want to make good decisions but sometimes fall prey to their own worst impulses; whose generous intentions are sometimes overwhelmed by petty concerns. RemusLupin (Grade: B) This was a fairly compelling story of friendships as they adapt (or fail to adapt) to new circumstances. If you like the TV show Girls, have struggled to maintain and navigate adult friendships, or have ever felt lost in your career or future goals, I recommend this book as you will definitely be able to relate to Amy and Bev's experiences. However I will warn that although the book ends optimistically, it was not a feel good story and made me question my life more than it provided any answers. aanthony (Grade: C+) Pretty decent. mugenishere (Grade: A) I read about 60 pages of this book before dropping it because it was too "chick stuff" for my tastes. Through this book I've now learnt that there's a genre of chick literature which mostly chicks would like. Wish there was some guy-lit stuff too. Anyway, the characters are strong, the writing style is smooth, flowing, uninterrupted by needless junk - quite unlike most adult books out there. The characters feel memorable and personal. Wish someone would write in a similar way for guys too.